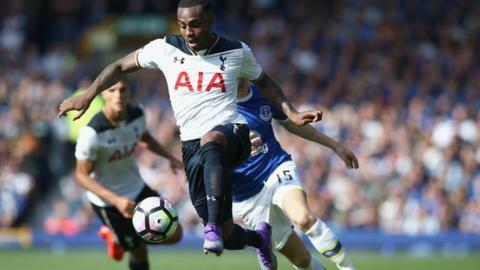 Defender Danny Rose has signed a new contract to extend his terms with Tottenham Hotspur through to 2021. The left-back, 26, has played 126 games for Spurs, scoring nine goals, since signing from Leeds in July 2007. "Everyone knows the club is going in the right direction. I'm over the moon that I'll stay here until I'm an old man!" he said. Rose has won eight England caps - making his debut in March's 3-2 win over Germany in Berlin. He started three of England's four games at Euro 2016, paired with Spurs team-mate Kyle Walker at right-back. The Doncaster-born player's previous deal at White Hart Lane - signed in July 2014 - was set to expire in 2019. There are 18 rounds of games left in the Premier League but how will the table look when the season finishes? Will Chelsea remain on top? Will Hull still be stuck at the bottom? Pick how you think it will look at the end, placing all 20 teams in order. Have a go then share with your friends.